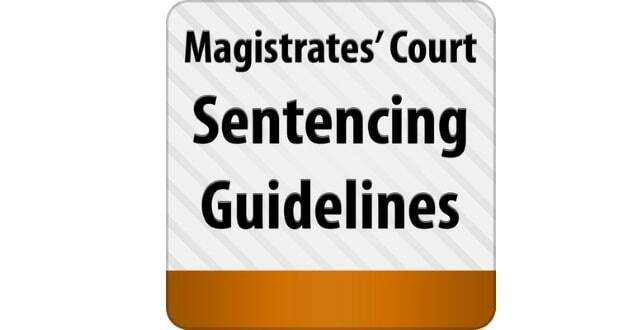 Sentencing Guidelines Annual Subscription is designed to help Court users locate and reference the Sentencing Council Magistrates’ Court Sentencing Guidelines and Adult, Youth and Family Court Bench Book issued by the Judicial College. The application provides indexes of offences Alphabetically, by Offence Group, by page and Act of Parliament. Magistrates and Advocates can quickly search and reference Sentencing Guidelines, reference an Offence Page number, and view the Offence Page – provided that the Magistrates’ Court Sentencing Guidelines has been downloaded. An optional list of “Favourite” Offences may be created from an Index or Search result across all of its contents. The Sentencing Guidelines Annual Subscription App is updated by the purchase of a ANNUAL SUBSCRIPTION. More information about the App may be found on the Ambay Software Ltd. Web Site link on this page.